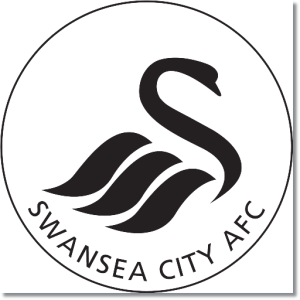 Premier League Preview for Swansea v Stoke along with Predictions for every result in the EPL. Follow up each match with results and video highlights posted later in the week. Swansea’s season has not been quite as positive as last year. Despite this they are still playing in the Europa League and look like advancing as well. This seems to have brought on some of their difficulties in the Premier League and being able to cope with two major competitions. They have struggled to keep goals out this season. Despite scoring 12 goals they have also allowed 12 goals. They have kept four clean sheets this season, including back to back home clean sheets. Coming into this match Stoke have not won 30 out of their last 33 away matches. They are also winless in their past seven matches, which include three draws. In this same time period they have four goals and allowed nine. They did keep two clean sheets in 0-0 home draws to Manchester City and Wes Brom. On the road this season they have scored four goals and allowed eight to give them a record of 1-0-4. I’m predicting a Swansea City win. Stoke will make it a difficult match and if they can hold on, could force a draw or even grab a win. In their last six head to head match-ups Swansea has won four and Stoke have won two. This includes Swansea winning their last three home matches and scoring at least two goals in each of these.